Eczema, also known as atopic dermatitis, is a frustrating skin condition. Those with eczema have a defective skin barrier that’s more prone to irritants, allergens and loss of moisture. Whether it’s dust, heat, or even a fresh coat of paint, an unbearable itch can be conjured. For 26-year-old Amber Lin, a student of Drama Centre at Central Saint Martins, that itch has stuck around since birth. Amber says humidity triggers flare-ups on her skin, and when psychological or emotional stress is introduced, it’s a recipe for disaster. “In school, I heard people say my skin condition was either a disease, contagious, or a sign of being extremely dirty—pretty horrible things to be surrounded by as you’re growing up, trying to find yourself,” Amber shares. Fast forward to today, and Amber still gets stopped by strangers on the street, each recommending a solution to her skin issues. While she recognises their good intentions, those moments take her back to a low point in her life when insecurity devoured her. Early last year, Amber visited London to audition for drama schools. As this was the first time she’d stayed in a dry climate for a prolonged period, her skin became red and blotchy when she returned to Singapore, desperate for rich moisturisers and steroid creams. “Every part of my skin was stinging, including my face. I had so many open wounds, and I couldn’t stop my swollen eyes from tearing. I had to skip work and couldn’t stand to meet anyone, even my closest friends,” Amber recounts. She had never seen her skin in this state before. “I was utterly defeated emotionally and psychologically because I thought this was something I already had a good grasp of,” Amber says. Eczema is shrouded by a cloud of myths. People assume it’s contagious, caused by a lack of hygiene, or is due to an impurity of the blood. For Amber, the misconceptions she encountered are underestimations of how itchy her skin can be. “I always have people telling me “don’t scratch” in a way that sounds like I can turn off my skin’s high sensitivity,” Amber laments. Apart from being an actor and a drama coach, Amber is also a spoken word artist, so she penned a poem addressing those who advised her to stop scratching. “This frustration has been building for at least a quarter of a century, so ‘needles under my skin’ was apt in describing my emotions and my attitude towards people who talked like they understood what I was going through,” she says. Her friends and relatives have offered solutions or diet plans, and while some of them hold merit, Amber believes there isn’t a one-size-fits-all answer. As an adventurous person, Amber has tried scuba diving, lightsaber combat and pole dancing. 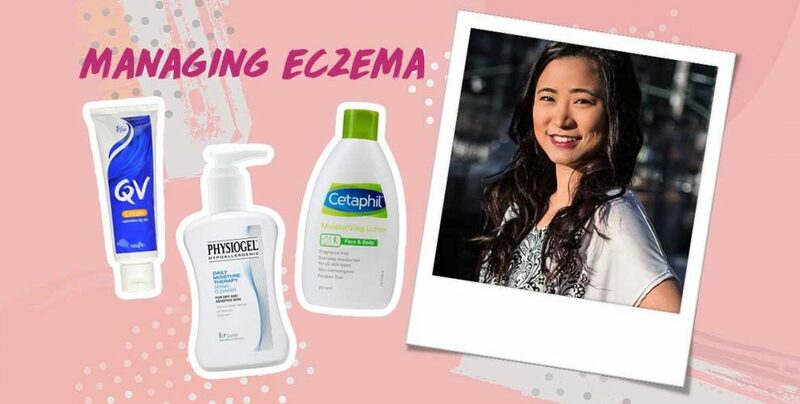 These vigorous physical activities could set off eczema, which is why she’s recently started taking general antihistamines before engaging in them. Aside from medication, Amber tries to keep herself calm. “When I get really anxious, I flare up, which I get even more anxious about. So taking care of my mental and emotional state is really helpful,” she says. As a student, she also informs her tutors about her eczema so they would understand if she has to leave the room in search of a cooler place. To soothe her skin topically, Amber has tried a wide range of skincare products. At the moment, moisturisers from QV, Cetaphil and Forever Living are in rotation. She showers with cleansers from Physiogel and Emolin, which double up as moisturisers too. She also uses steroid creams like Dermanol-C, Dermasone, Elomet and hydrocortisone for different parts of her body due to their varying degrees of strength. Living with urban irritants and pollutants is a fact of life for those with eczema. 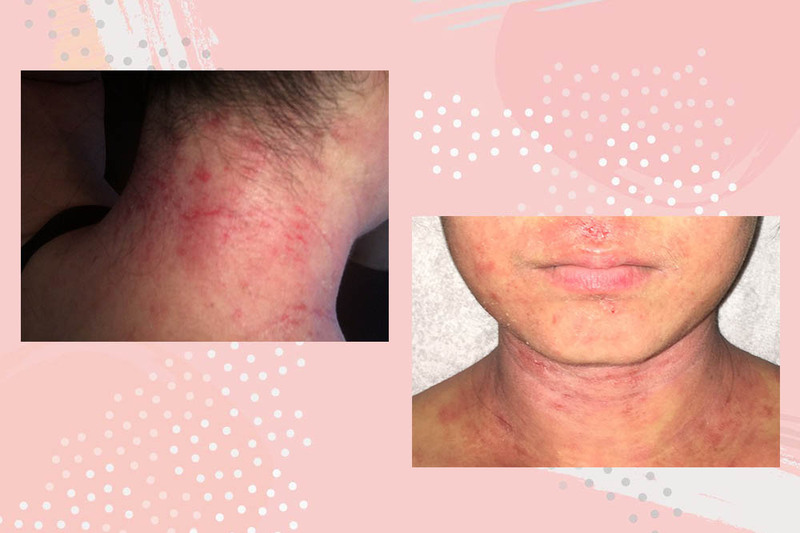 However, you can limit your exposure to them by getting tested for eczema triggers at the National Skincare Centre (NSC) and private skin clinics. This is done with a skin patch test, skin prick test, or blood test. Skin patch and prick tests are more affordable, priced from $60 or $70 onwards at NSC, and $200 onwards at private clinics. Blood tests, on the other hand, can cost up to $500. 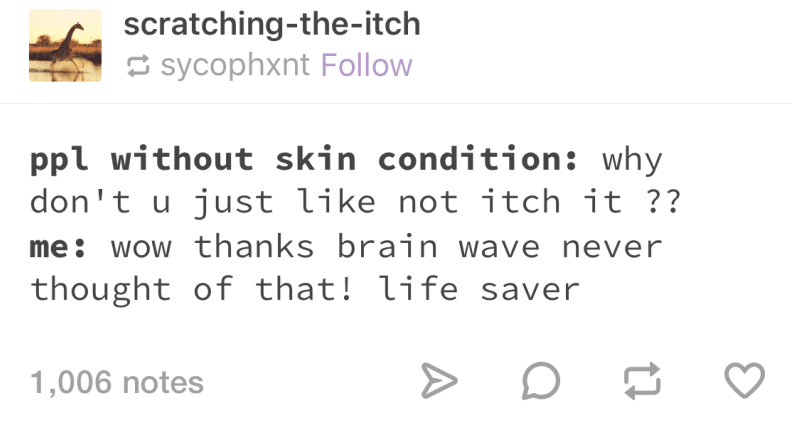 Once you know the factors triggering your eczema, you can try to reduce your contact with them. 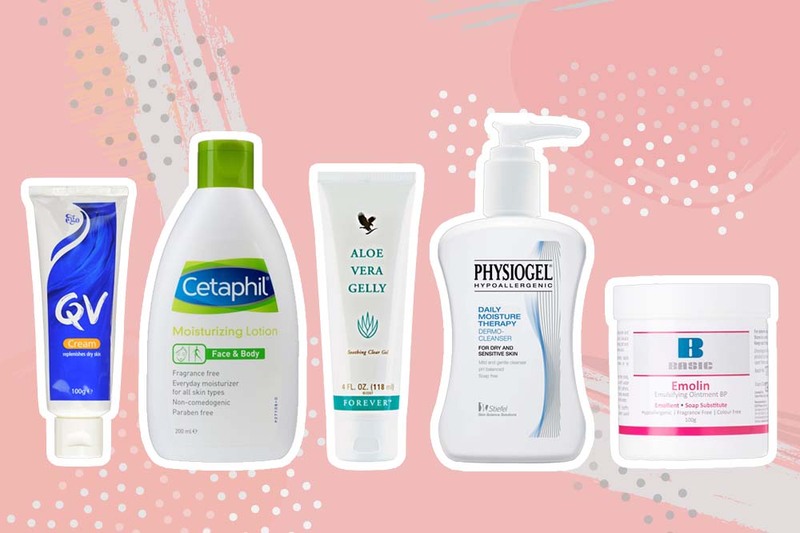 We hope this article has been helpful to your search for healthier, itch-free skin!